The Speedo ® Biofuse Fitness Fins are short, dual intensity fins with stiff blades which create maximum resistance in the water. The added resistance increases the workload on your leg muscles which increases strength and endurance. Biofuse Fitness Fins add extra propulsion to the stroke, which increases speed with minimum effort leaving you free to ingrain correct technique. The increased surface created by the BioFUSE Fitness Fins forces ankle extension during kicking, which makes the kick more propulsive and efficient. The added resistance means you burn more calories and increase your fitness levels. Want to use training fins to help you work on your propulsive power and ankle flexibility? Our video below will help you get to grips with using fitness fins and features tips from our elite swim coach on training methods and basic techniques. Short fin for fitness training. 100% silicone construction for excellent comfort. Dual density design, offering stiff blade and a soft, comfortable foot pocket. Available in Grey/Blue or Grey/Pink. Speedo branding on top of the foot. Finger loop to help you get the fins strap easily and securely around the back of you heel/ankle. Easy to order and delivery quick. I am an older swimmer and wanted something to make me work a little hard. Bought for 6 year old daughter, her 2nd pair. Easy to slip on and off and comfortable. Also not overly long - easier to walk in poolside compared to some other fins. Bought these fins after a free Swimcoach session with Speedo - haven't looked back ! My improved swimming technique, as well as all-round body fitness, continues to go from strength to strength. If you can't access Swimcoach sessions check out Speedo's video tutorials on Youtube. Just beginning to realise and appreciate the overall health, fitness and wellbeing benefits of swimming. It takes time for these old body parts to work in new ways - these are just what I need to provide extra propulsion whilst I improve my technique. Oh yes, the price on Newitts - unbelievable and delivery beyond all possible expectations - thank you. I'm really impressed with the product, they have brought on my leg strength endurace. Definetly worthwhile buying for the serious swimmers. My 9 year old found the strap around his achilles was not comfortable and the fin length is short, so additional propulsion was not great. Further, the strap snapped after 7 months. As a training fin increasing resistance to strengthen kick they are probably good. For younger swimmers wanting them to lengthen kick and allow focus on arms, a longer fin would be better. Afraid I cannot recommend. Really enjoying my swim more since purchasing the fins. I was concerned if they would stay on my feet having never used fins before but no problem at all they stay on nicely. The service given by Newitts was 10/10 no issues at all and delivered quickly. strokes and also for kick-only drills. 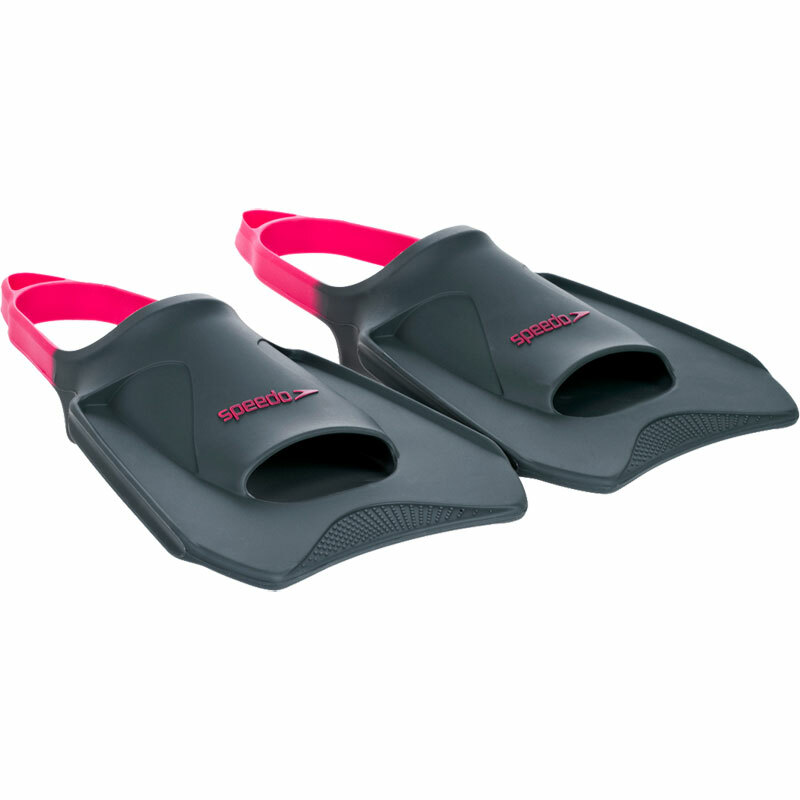 These fins with straps are very comfortable and excellent for improving your swim strokes. 5 out of 5 Can't wait to get in the water! We bought these short fins to be able to pack in our carry on bags to take on holiday - so will not be using them til the summer. They fit really well, feel comfortable and can't wait to use them for snorkelling rather than the reeally long ones we had in the past - hopefully not have to walk backwards down to the sea!